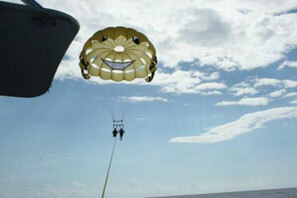 Caribbean Surfing, Diving, Whale Watching and So Much More! 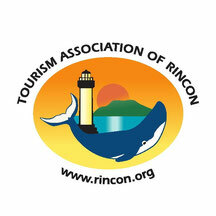 The Tourism Association of Rincón would like to welcome you to our "town of beautiful sunsets". This association was formed by concerned citizens, vacation rental owners and business people in 1994 who were committed to promoting the unique ambiance of Rincon while preserving and protecting the environment. Rincon has many fly by night and unlicensed operators. Our members are only established, trusted local business owners. We wish to thank the thousands of visitors we have had since Hurricane Maria struck September of 2017 and are happy to report that our beautiful town is still recovering but in many places, back stronger than before. We think you will be pleasantly surprised how quick the trees and beaches have recovered! Choose from Beachfront Resorts, B&Bs and Small Boutique Inns. Local hand crafted items, beautiful pieces of art and gifts of all kinds. 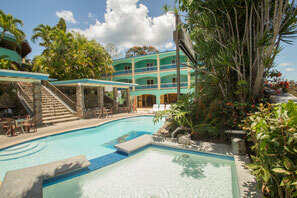 Beautiful Rincon vacation rentals and villas for groups of any size. Rincon has great dining options, from local Creolo cuisine to sushi, pizza and all in between. 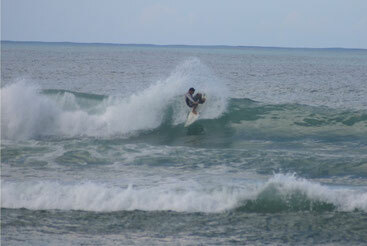 Surfing, diving, sailing and fishing, yoga and horseback riding, Rincon has it all! 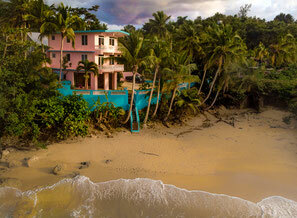 Rincon has become a premier Caribbean destination wedding location! 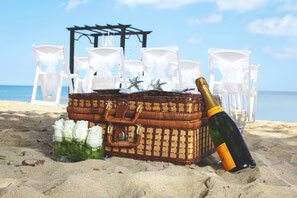 Find a Wedding Planner or venue in Rincon. The continued support of Our Members has made it possible to provide this website as well as help to fund many of Rincon's best events such as the Rincon International Film Festival, the Rincon Beachboy Standup Paddleboarding Contest, the Legend Surf Classic and the Rincon Trialo. Visit and "Like" our Facebook Page for events, specials and updates from our Members. See our Rincon Interactive Map for an online map experience and our Visitors Info Page for more info. Although the word Rincon means 'Corner' or 'Niche' in Spanish and is a perfect description of our location in the northwest corner of Puerto Rico, where the Atlantic Ocean meets the Caribbean Sea - the name originates from Don Gonzalo Rincon, a 16th century landowner who allowed various poor families to reside on his land. This 'corner of Puerto Rico' has been Puerto Rico's favorite vacation destination for years! Its unique location is where the Atlantic meets the Caribbean. The North Coast of Rincon has some of the best surfing waves in the world when the currents collide from October till April. The South Coast of Rincon has some of the best swimming beaches, with calmer, clear blue water. In between are the beautiful seascapes of the Sunset Coast and the activity of the Downtown and Marina. Surfing made Rincon famous - but it has become a major resort destination year-round. Winter is high season for surfers, whale-watching and escaping the cold northern winters. Don't surf? Rincon has some of the most beautiful calm water beaches on its south Caribbean side, perfect for swimming or standup paddleboarding (SUP), one of the fastest growing sports in the world. Hotels, vacation rentals, restaurants and beaches are full of activity and there is always lots to do: SCUBA Diving off nearby Desecheo Island, snorkeling, horseback riding, deep-sea fishing, sailing, mountain biking, swimming, yoga and massage, long walks on the beach and of course those unforgettable sunsets every night as the sun sets over the Caribbean. In the summer, Rincon relaxes and turns into a sleepy Caribbean village that shows a different personality. The wild surf calms down to create intimate, secluded beaches where snorkeling takes the place of surfing. 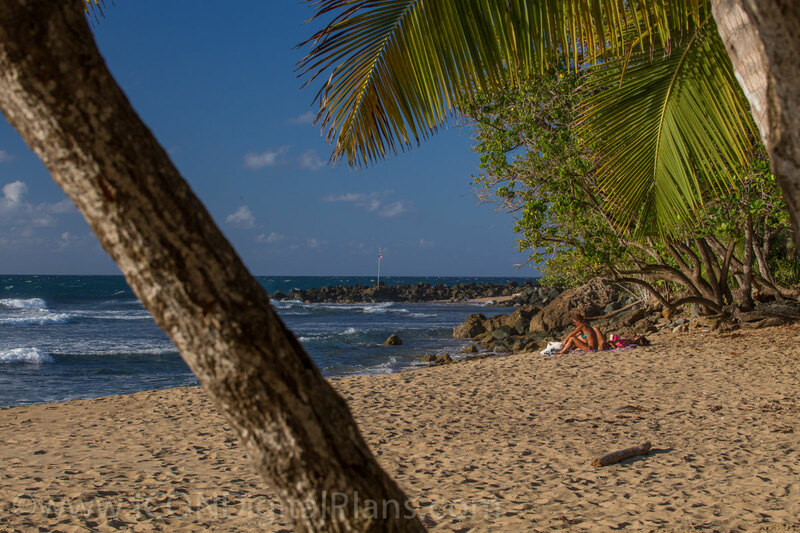 This is one of the favorite times for Caribbean residents to visit Rincon. July is actually our busiest month, since all of Puerto Rico goes on vacation - and bookings are required far in advance! Rincon boasts world-class resorts, intimate hotels, villa-style apartments, vacation rentals and guest houses that make it a great choice for your next vacation! However, we haven't lost our 'old time' Caribbean charm. 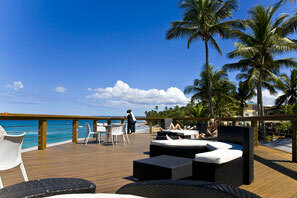 There is no 'resort strip' in Rincon - our guests are just another part of life in paradise. Rincon has also become one of the Caribbean's best wedding destinations, with all the services and a wide variety of wedding venues to choose from. 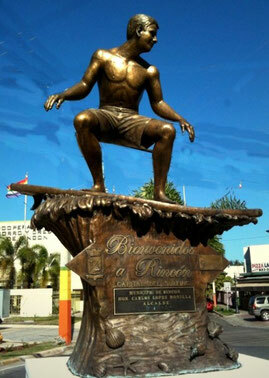 Although a small town, Rincon boasts several different personalities depending on the area of town you explore. 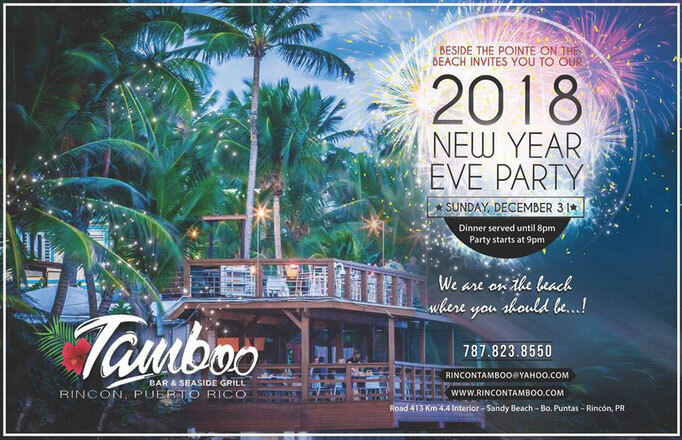 You'll enjoy the surf and activity of The North Coast, the intimate beaches and spectacular show every evening on The Sunset Coast, Downtown Rincon's traditional plaza and emerging dining and arts scene, and the long swimming beaches of Rincon's South Caribbean Coast. 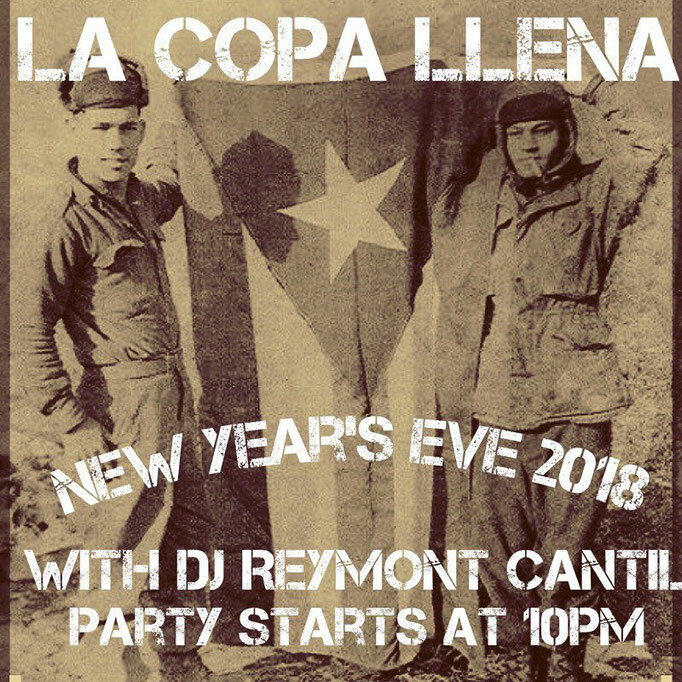 You'll meet local residents, visitors who bought second homes here after the 'fell in love' with Rincon and tourists from all over Puerto Rico, the Caribbean and the world. Once you discover the natural Caribbean charm of our special corner of Puerto Rico - we're sure you'll fall in love with Rincon and come back again and again. And if you fall in love like many of our past guests, we have several Rincon real estate agents listed on our website to help you purchase your home, villa, condo or land in Rincon, Puerto Rico. To plan your trip Purchase a Rincon map on our Directories Page. 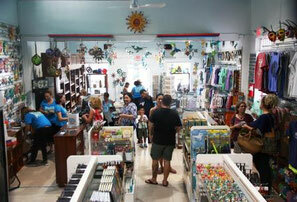 For more travel information, see our Rincon Visitors Information Page. Ringing in the New Year in Rincon! If you are planning a trip to Rincon, Puerto Rico in March or April or are thinking of coming, there are plenty of things to do and see! Of course March is prime time for good surf, waves have been great and very consistent all season, we are looking forward to more great Rincon surfing in March. The whales are here! If you enjoy seeing these amazing animals offshore, breaching and flipping their tails, Rincon has a few great spots to see them: The El Faro (lighthouse) Park is an ideal location to relax and see the whales, offering beautiful views and comfortable benches. Tamboo Bar and Grill has a large beachfront deck where whales can be seen while enjoying lunch or a cocktail, and of course most beaches have great views of the whales, but best to be a bit higher. The Corona Pro at Domes beach is an annual surf contest held in Rincon at Domes or Marias Beach, held this year March 3-4, with some of the best surfers from the Caribbean and Florida competing. 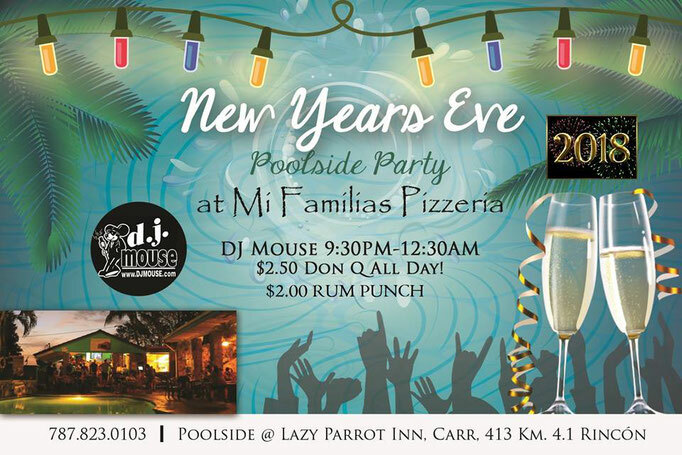 Bring your beach chairs and find a spot early as it is a very popular event! There is a great fundraiser on March 4th, the Rincon for SUDS (Soldiers Undertaking Disabled Scuba) Fundraiser, held at the Shipwreck restaurant in Rincon. This is the third annual event that helps fund scuba dives for disabled veterans. There is live music, great food and a silent auctions, more info at their website, sudsdiving.org or contact Isela for tickets, 787-431-5513. 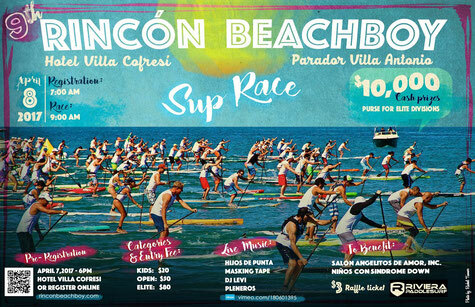 Also coming April 8th is the Rincon Beachboy Standup Paddleboard Race, a yearly event that is one of our favorite family events in Rincon! Categories from kids to pro with prize money, live music and after event party, it is a great day to spend at the Hotel Villa Cofresi!. More info on their website, rinconbeachboy.com. Enjoy your Rincon vacation! 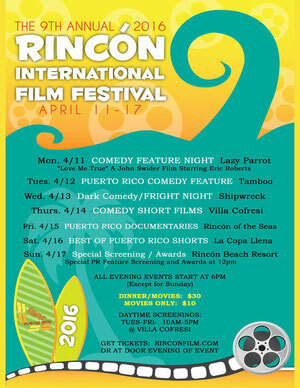 The Rincon International Film Festival is being held March 27-April 2nd. This is the 10th Annual and promises to bring some amazing films with afternoon viewings and special comedy, documentary and horror night viewings all week long, more info and tickets at their website, rinconfilm.com. 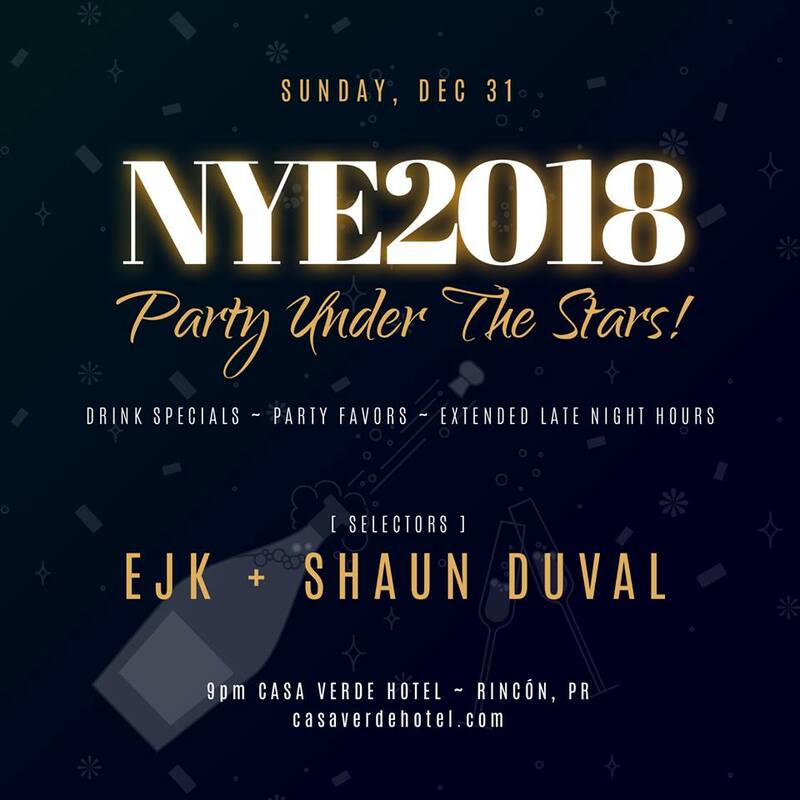 See our Festival and Live Events Page and follow us on Facebook for updates to these and any other events or happenings in Rincon! The Tourism Association of Rincon is proud to announce our two newest member, Caribbean Trading Company and Icon Digital Plans! Our members help us support some of Rincon Best Events, including the Rincon Trialo, The Legend Surf Classic and the Rincon International Film Festival as well as making this website possible.